Christmas Eve is almost here! I have always loved Christmas Eve, perhaps even more than Christmas. It's a day of anticipation, festiveness, and wonderful smells wafting from the kitchen. 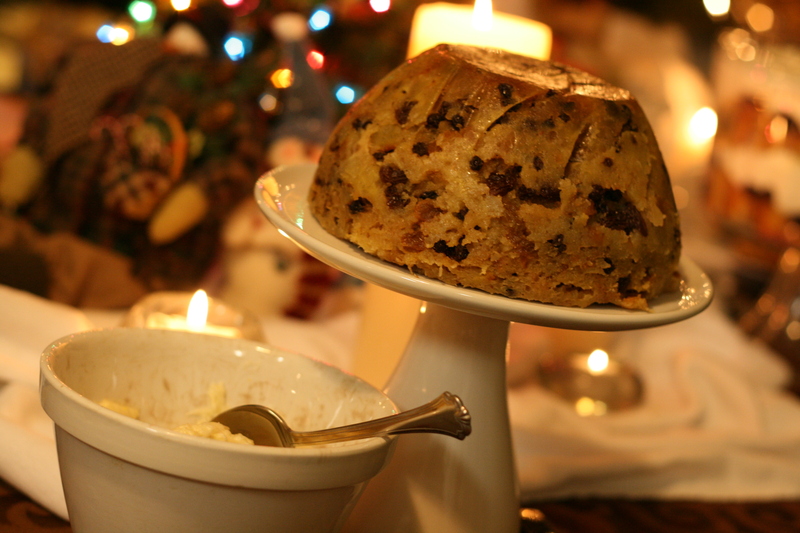 Nothing can be more appropriate to a Christmas celebration than Christmas Pudding, also known as Plum Pudding, or Figgy Pudding. 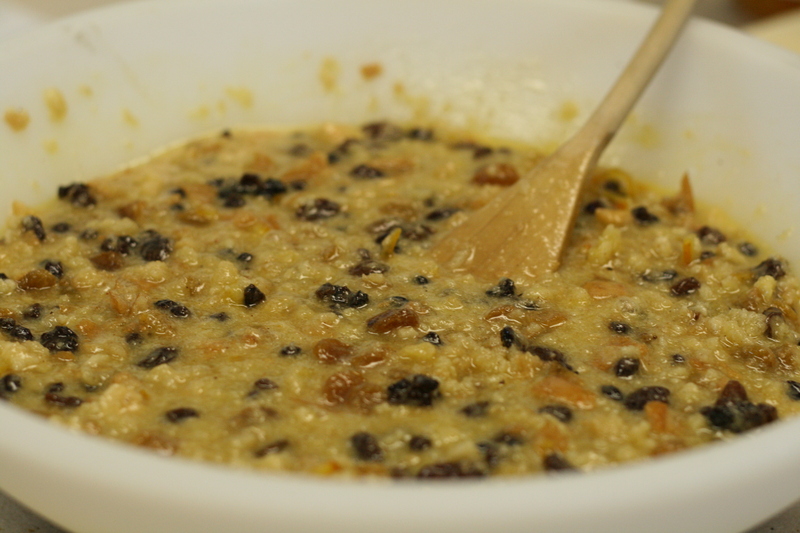 Below is a simple recipe that can be made in the microwave (saving you about 5 1/2 hours of steaming on the stovetop!). Our family enjoyed Christmas Pudding last year on New Year's Day. It made a very festive start to the year. Make the bread crumbs in a food processor or blender. 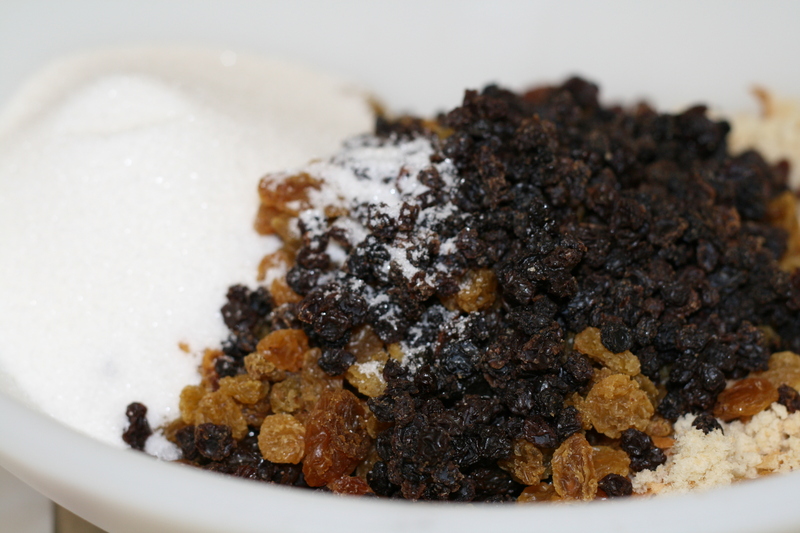 Toss bread crumbs in a bowl with the raisins, currants, sugar, cinnamon, and nutmeg. Butter a microwave-safe bowl and cover the bottom of the dish with a piece of parchment paper. Pour in the batter. Cover with plastic wrap and pierce the plastic with a knife in several places. Place in the microwave and cook on "defrost" (low speed) for 30 minutes (this was power level 3 on my microwave). Finally, cook on high for 5 minutes. Let the pudding sit for a few minutes before unmolding. (I left mine in the mold until ready to serve at which time I could pop it back in the microwave to warm it up.) The pudding is ready when it is firm to the touch (it will be firm but also spongy). 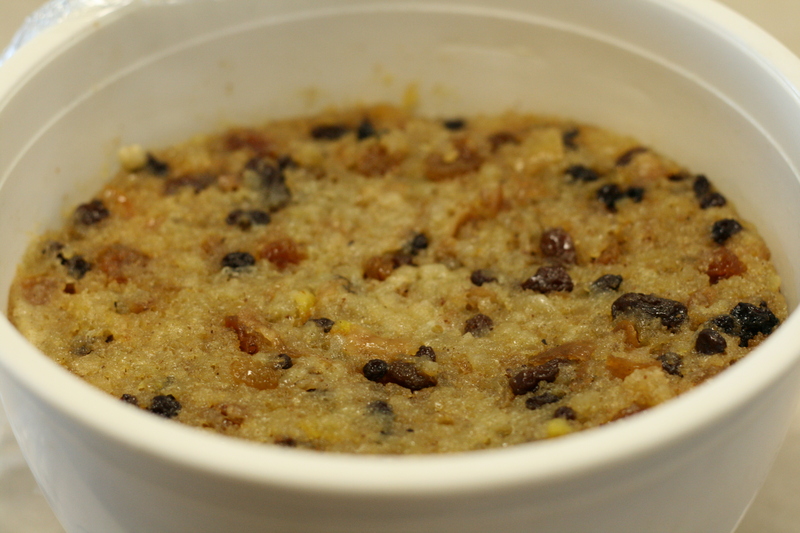 The pudding will also be paler than a properly steamed pudding. To serve: Heat the brandy, whisky or rum in saucepan until warmed. Pour over the unmolded pudding and ignite. Serve immediately or ignite at the table. Serve with brandy butter. With a handheld mixer, beat the butter until fluffy. Add the remaining ingredients and beat until well-combined. Store in fridge until ready to use.